This week’s tester is like that old Cert’s Mints commercial that says it’s two, two, two mints in one. Well this week I’m reviewing two different Hyundai Elantras as both are vastly different from each other. 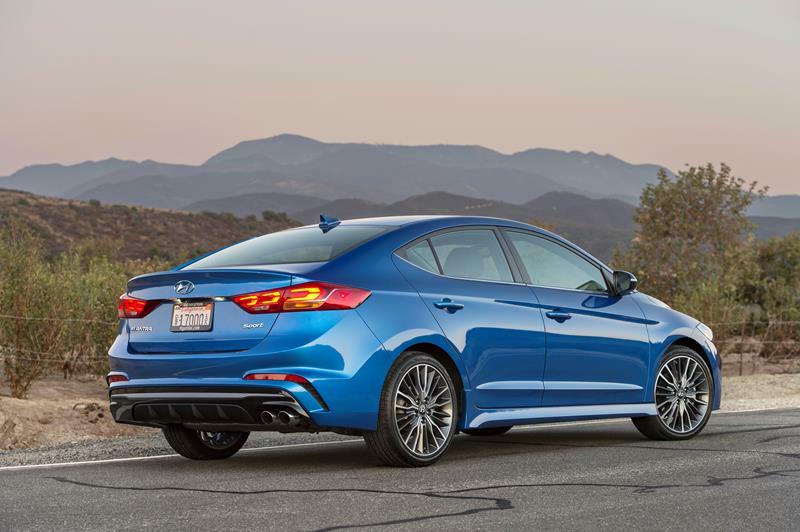 The Elantra is a compact sedan that was redesigned for 2017. 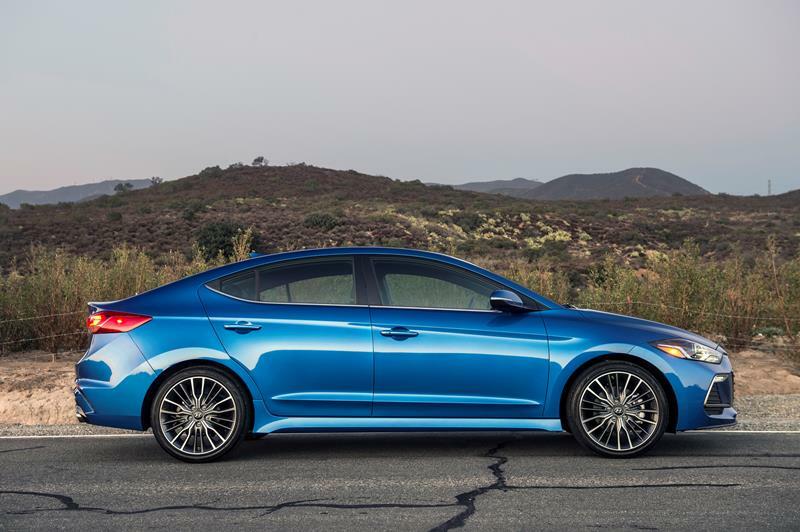 One of the biggest perks to the Elantra is the affordability of this car. Base models start under $18,000. The two trims I drove (in separate weeks) both are under $22,000. The Elantra Sport and the Elantra Eco are the same car, but vastly different. In fact, it varies as to what you want from this compact car – peppiness or fuel efficiency. On looks, the Elantra’s new exterior is updated and modern. I wouldn’t consider it the most handsome car in the segment, it’s much improved. 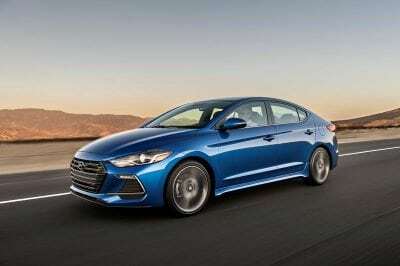 The Elantra’s conservative design mirrors some of its rivals (Toyota Corolla and Honda Civic). Though I feel the Civic is better looking, the Elantra doesn’t push the design envelope too far and stays with the rest of the pack. Certainly, the back end of the Elantra is the best-looking side with wide, sleek rear tail lights and a subtle spoiler. All told, the Elantra has four different engine possibilities, which can be confusing for the consumer. For our two testers, there were two different turbocharged engines. 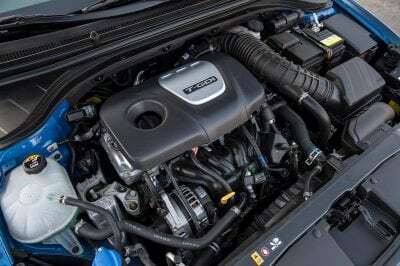 The Elantra Eco has a 138-horsepower 1.4-liter four-cylinder engine, while the Elantra Sport has a 1.6-liter engine with 201 horsepower. Both models came with a seven-speed dual clutch transmission. This transmission had little to no turbo lag, and really aided the Eco version to over perform its output numbers. The Sport isn’t going to win over the tuner market with its performance, but it’s peppy, and is the fastest of all the Elantras. You’d think with such a vast horsepower difference that the Sport would feel so much peppier than the Eco, but they both feel comparable. Obviously, the Sport is faster off the line, but under normal driving conditions, the Eco holds its own. Engine noise is noticeable, but it’s also much improved from the previous model year which had a lot of road and engine noise. Inside, the Elantra doesn’t come off as an economy car. The touchpoints are excellent and the cabin is quiet with comfortable seats. The back seat is comfortable for two adults with leg room being adequate. Both trims are rated as a five-passenger vehicle, but I’d keep that fifth passenger to a child or else shoulder room would become an issue. The cargo room for the Elantra is above average for the segment. With 14.4 cubic feet of space (plus a 60/40 rear split), it’s higher than the Corolla and just slightly less than the Civic. A new hands-free trunk open feature is added to this model year. 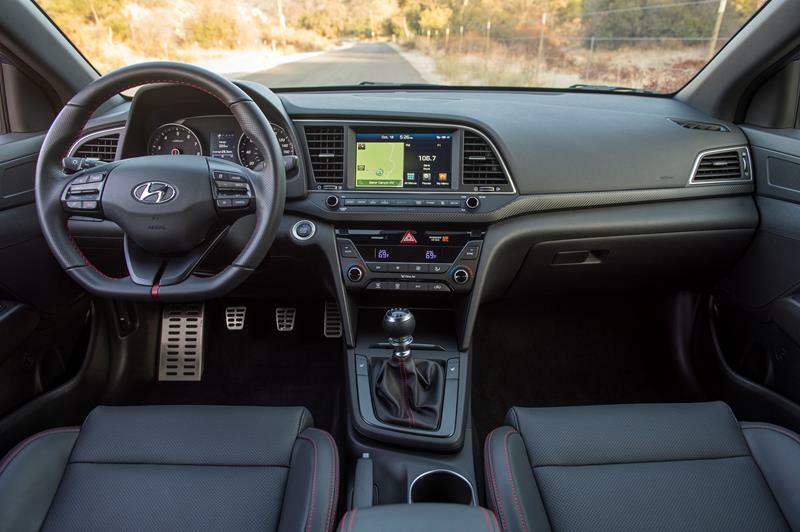 The Elantra’s technology is improved and intuitive. It’s within the top five of best infotainment systems as far as simplicity and features. A 7-inch touchscreen is responsive. New for this model year is the addition of Apple CarPlay and Android Auto. This makes smart phone integration easier and helps cut down on having to rely on the infotainment system to provide things like navigation or voice text. There is also a USB port and blue tooth integration. Fuel economy between the two trims is vastly different. The Elantra Eco has an EPA rating of 32 mpg/city and 40 mpg/highway. This is the most fuel-efficient Elantra offered. With smaller wheels and the smaller engine, it manages to squeeze maximize fuel economy out of the car. In a week’s worth of driving I sipped only a few gallons down and averaged more than 36 mpg. 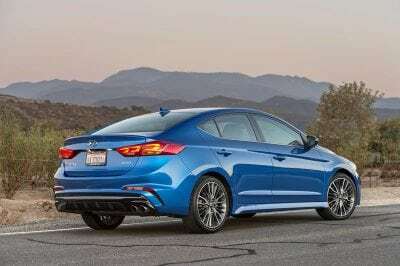 Meanwhile, the Sport is the least fuel-efficient Elantra with an EPA rating of 26 mpg/city and 33 mpg/highway. Driving the Sport, I still averaged more than 30 mpg, so I was fine with that number, considering how much more powerful it was than the Eco version. The Elantra Eco has a starting price of $21,610. The Sport has a starting MSRP of $23,760. My tester had added features including the Premium Package which includes an advanced sound system, sensor-based safety features and a moonroof. 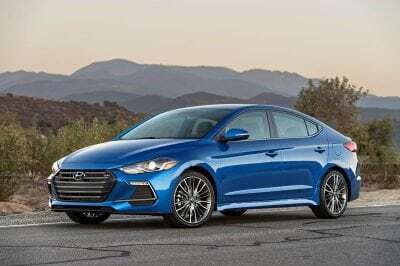 Final price of the Elantra Sport was $26,110. Hyundai continues to understand the U.S. consumer and continues to improve their vehicles and offering many options. They have improved one of their best-selling vehicles in a very important segment. The Elantra, in whatever capacity, is significantly better in looks, performance, interior and fuel economy.